As has been a trend in Hollywood of late, we seem to get genre films in waves. There have been many werewolves and then vampire films and now it seems we are heading into zombie territory. We have already seen “Warm Bodies” earlier this year, as well as “Resident Evil: Retribution” — the fifth installment in the franchise — and even a zombie-related stop-motion animated film (“ParaNorman”) last year. Now, it is time for some Zombie Apocalypse mayhem in director Marc Forster’s action-filled horror drama “World War Z,” which is based loosely on the best-selling novel “World War Z: An Oral History of the Zombie War ,” written by Max Brooks in 2006. This second trailer for the film is taking a completely different approach to how it portrays itself, taking the focus off the zombie hordes and putting it on our main character, Gerry Lane (played by Brad Pitt), and his journey across the globe as a United Nations employee searching for a way to stop the spread of this virus and put an end to this pandemic. He doesn’t want to leave his wife, Karin (Mireille Enos), and their two daughters behind, but he must do so in order to study this virus and find its weakness and possible a way to eradicate it and save all of humanity. Watch the new trailer here and then read my thoughts below. I will say that even though I have not read the novel, I am very familiar with it and know people that are huge fans of the book. Most people’s reaction to the first trailer was that it seemed cheesy and the true fans didn’t think it would do the book justice. I think Paramount Pictures is being smart and focusing on the more positive aspects of the film, as one of the biggest criticisms of the first trailer was that the zombies looked too cartoonish and not realistic, and now they’re aren’t any close ups of the infected now. The focus of this trailer is on Gerry Lane and they are hinting that he has some higher purpose and can possibly save the world. I do like that it’s not a physical battle to save the world by Brad Pitt’s character but seems to be more of a mental one. I think incorporating that thriller aspect and the unraveling of clues as he travels the world in search of answers will make the movie better than just fighting the zombies to survive. I do still think that the masses of zombies could use a little work, but overall they seem scary in the fact that they can move quickly and the look of them climbing over each other in complete chaos creates a cool wave crashing on the shore effect. I think the best thing going for this film, besides some cool action, is the relationship and family dynamic that is very apparent in the trailer. It does appear that Mireille Enos may be sidelined for the majority of the movie as Brad Pitt is off trying to save the world, but you can see that they will be in contact and his family is the reason why he is off facing danger in a chaotic world. However, I do hate that the cool ending sequence on the plane reminds me of the scene we have seen in most of the “Iron Man 3” trailers, but that isn’t their fault as the writers and film makers couldn’t have known about it until after it was already too late. Another negative for me is that the film was pushed from a late 2012 release date due to extensive re-shoots and a rewriting of the ending of the film. I’m hoping that means they fixed whatever the problem was and didn’t just redress it as something different. Watching this trailer does make me want to read the book before the film’s opening, but if it’s as good as most people say it is, then it might ruin the movie for me. What do you think? What are your thoughts on “World War Z” and this trailer? Have you read the book? Leave a comment and let us know. 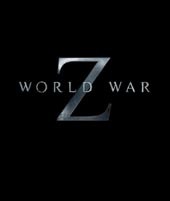 “World War Z” – which swarms into theaters June 21 – also stars James Badge Dale, Matthew Fox, Eric West, David Morse and David Andrews.